Since the phenomenal launch of our new Skin Base Foundation, we have been overwhelmed with responses from customers, bloggers, and beauty editors, including Vogue, who have all been amazed by the flawless, smooth complexion Skin Base creates. Described by David Horne, Director of Product Development, as “the ultimate ‘skin realism’ foundation”, to help those who haven’t yet discovered this revolutionary new formula find their perfect match we’ve put together a series of shade comparisons. 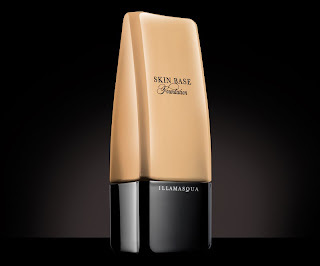 Matching up key foundation shades from across the industry, be they Illamasqua, MAC, Bobbi Brown, NARS or YSL, with the Skin Base shade equivalent, download the comparison charts from the links below. We’ll be adding new brands to this list soon. With 18 wide ranging shades, you may find we have recommended two Skin Base shades for your shade – if so please refer to the swatches on our product page for further help.